After you have connected, you should have to wait until the data is loaded, you actually connect to a server, and your display initializes. 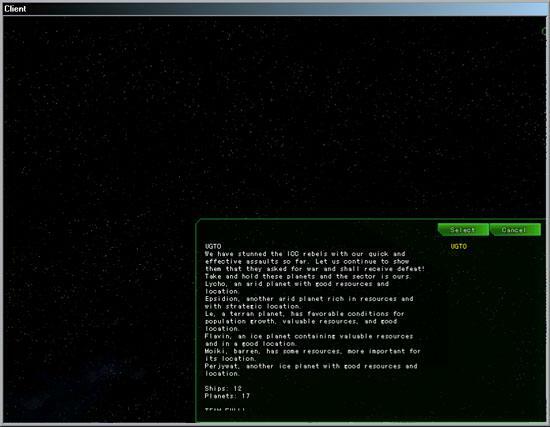 You are then brought to a black screen with the Palestar logo. There is a bar at the bottom, and it above it it should say "Connecting to server.palestar.com". The "server.palestar.com" is just a generalization, and this will differ for which server you're connecting to. 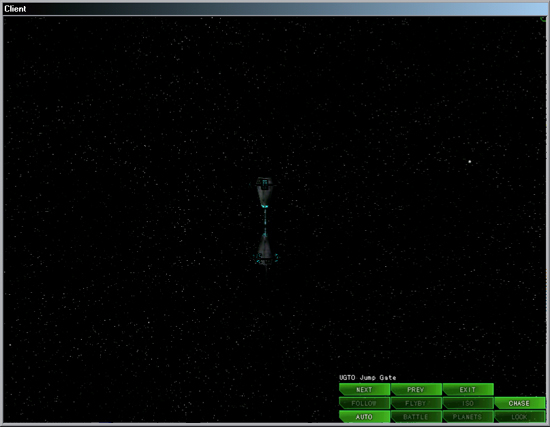 Once you are connected, the graphic will change to the Darkspace logo. Above the bar it will now say "Loading Objects". You can watch as the all the bar start lighting up. 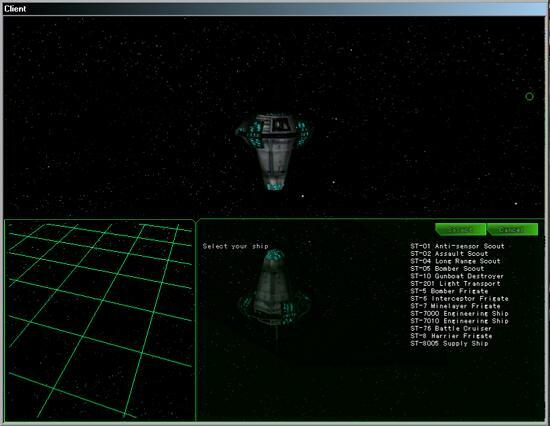 Once this is complete, you will come to the start up screen for Darkspace. Sidebar note: Though you are given the option to skip the loading of objects, it is not recommended. Doing so could cause you to experiance problems or extreme lag in the game as it trys to load the uncached objects. Play This will enter you into the game and bring you to the team selection screen. Observe If you do not wish to play, or the server is currently full, you can click here to observe the game. You might want to do this if you are waiting for a spot to open on either team. You'll notice that there is some information here. This is the information on the server, the same as listed earlier. You will see a bunch of buttons at the bottom right hand corner, as well as the main display. The buttons are pretty much self explanitory, so I won't go into detail about those. To exit the observation screen, just click "Exit". This will return you to the previous menu. You can now select which faction you wish to join. When you select a faction, it will dispaly some background information about that faction and the current scenario. 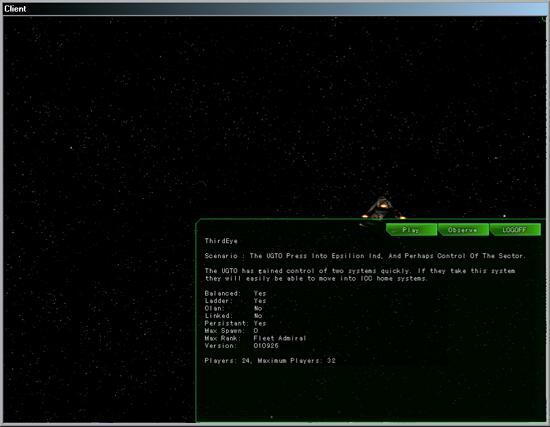 It will also display the number of ships and controlled planets that are in that faction. In a balanced game, only one faction will be highlighted that you can join. In a non-balanced game, you can join whatever faction you wish. Once you have selelcted a faction, you will be brought to the ship selection screen. From this screen, you can also chat with your teammates. To chat, simple press Enter, followed by your message, and Enter again to send the message. A good way to choose a ship is to ask your team what ships are needed, and see if you have that ship available for selection. If not, choose any ship that you wish. Click the select button when you're ready to command your vessel.